The Altman 65Q Fresnel Light is one of the most economical focusing 6″ Fresnel lights available. SKU: Fresnel6. 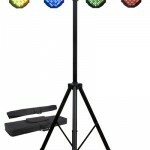 Category: Stage Lighting. The Altman 65Q Fresnel Light is one of the most economical focusing 6″ Fresnel lights available. 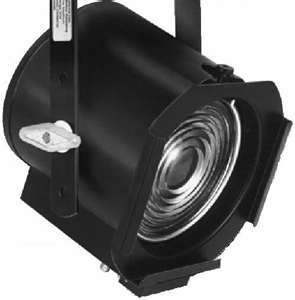 A lightweight, short throw, all purpose lighting device, it produces a soft edged beam which varies in diameter from 4.2-21′ at a throw distance of 15′. The 65Q is used in theatre for acting area lighting where beam shaping is not required or in television studios for key and backlighting. Other uses include nightclubs, museums and show windows where soft edge controlled lighting is required. An economical 750-watt hanging type light for museums, nightclubs, and other applications. 6″ Short throw lens with color frame and safety cable. Produces a soft edged beam varying in diameter from 4.2-21′ at a throw distance of 15′. Designed for operation with long life, high intensity tungsten halogen lamps.